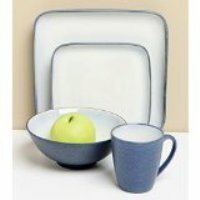 If you are looking for casual dinnerware sets, Sango dinnerware is worth looking into. 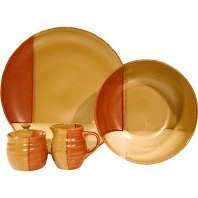 Many of their stoneware dinnerware sets are two-tone or blended complementary colors. They are practical, but classy. They also make canisters, hostess and completer sets that match their dinnerware. The dinnerware is distributed by Sango America, Inc. I really like the choice of colors. They are somewhat neutral which makes it easy to fit them into the décor of a kitchen.